Dice Tower Showdown is a podcast where we pit games & concepts against each other while debating their merits and short comings. Showdown will release every other week, on Friday featuring members of the BGG community engaging in a family friendly, strong-willed, head-to-head match up mediated by Tom Vasel. Is there a game you want to hear the merits debated? Tell us here. Include what topic(s) and why. Who had the best argument? 2. The Dice Tower :: Thread: Dice Tower: Showdown - Episode # 2 - Lords of Waterdeep vs. Caylus and Kickstarter: Good or Bad? Twilight Struggle - BGG #1? 5. The Dice Tower :: Thread: Dice Tower Showdown # 5 - Alien Frontiers vs. Kingsburg, and is the local game store still relevant? Local Game Stores - Are they still relevant? 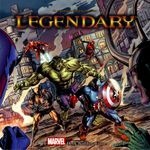 Poll: Exclusive Promos: Are they a good thing? Which side had the best argument? 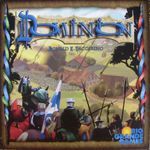 Dominion: Is it a good game? 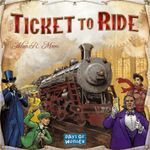 Spiel des Jahres: Is it still relevant? Poll: Monopoly: Is it a good game? Poll: Power Grid: Is it a good game? 1. Which side won the debate? 2. Which side do you agree with? 11. The Dice Tower :: Thread: Dice Tower Showdown # 11 - 7 Wonders / Is Memoir '44 a wargame? Poll: 7 Wonders: Is it a good game? 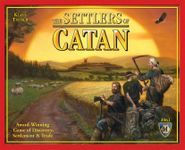 Poll: Memoir '44: Is it a war game? Poll: Innovation: Is it a good game? Poll: Puerto Rico: Is it a good game? 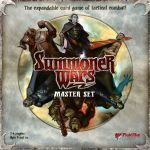 Poll: Merits of Collectible Card Games: Are they good for the hobby? Poll: Merits of Micro-Games: Are they a fad or the next big thing? 16. The Dice Tower :: Thread: Dice Tower Showdown # 16 - Agricola vs. Caverna / "Feed your people"
Poll: Merits of Tablet Gaming: Are they good for the hobby? For our eighteenth episode, we change our format a bit to a roundtable discussion with the simple question - how do you deal with a cheater? 21. The Dice Tower :: Thread: Dice Tower Showdown # 21 - Best Party Game of all Time! Is Cosplay at conventions a good thing? Our teams debate!